First of all, what is SEO? It may sound complicated, but it is not. Optimisation is synonymous with improvement. If it’s not clear what search engines are, the most commonly recognised and most widely used search engine at the moment is Google. We’re sure that sounds familiar to you. 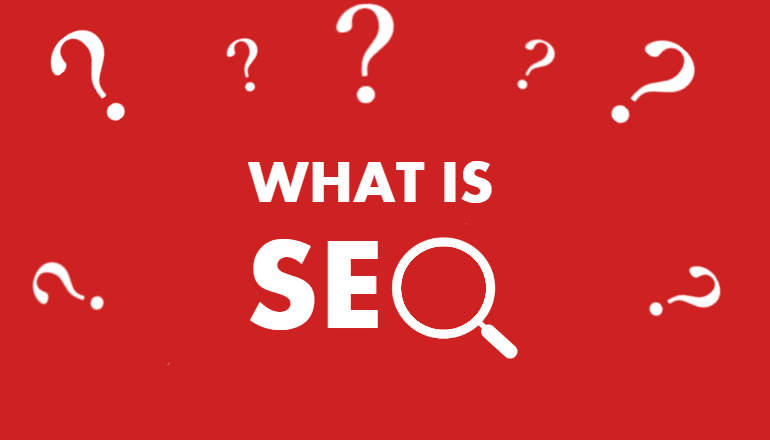 So in short we can define SEO as the improvement of web pages for search engines such as Google. Why are search engines so important that we should improve our sites for them? When we want to find out information, buy something, plan a trip, find a specialist and so on, we almost always appeal to Google nowadays. At every search we access a huge online market through Google, where lots of businesses are very interested in appearing in Google’s top results. When someone searches for services and products related to what they offer. A good position on search sites will mean more visitors, more leads and more sales for them. In many cases Google’s traffic sustains the whole business. SEO is also preferred because it is much more affordable than buying other types of promotion like TV or subway advertising. Moreover, when you advertise through subway or street banners, you don’t know if the message will be seen by people who are genuinely interested in what you’re offering. With a good promotion on Google your entries are certain to only appear to those who are interested, as they will find your website in Google’s results as they will have specifically searched for what you’re offering. What does a good presence in Google’s results mean? The vast majority of those who use Google or other search engines stop at the first few results. Therefore, in order for a site to receive many visitors it must be on the first page of results returned by Google, the higher position the better, for keywords relevant to the site. For example, if you have an online clothes store, then it is in your interest that when someone searches on Google for expressions such as “clothes” or product names like “dresses”, “jeans”, “blouses”. Your site should appear on the first page of Google results and in the highest positions as well. Briefly the SEO goal is to bring a site to the top positions of relevant searches on the search engines. How can a site get a better position in search engines? Google wants to show those results that are as relevant and appreciated as possible for every search someone makes. If it wouldn’t do this, people would head to another website. Therefore, we will get a better position in search engines as our site will be considered to be highly relevant and contain suitable content for its users. We cannot detail in this article the ways that this is done. They are explained in the SEO course that lasts about 8 hours. But in order for you to get an overview, Google’s results are based on a positioning algorithm consisting of hundreds of factors of varying importance. Many have been present in this mathematical formula since the first search engines were developed. Others are more recent additions due to the constant improvement and evolution of these algorithms. Optimisation is a technical and a creative process as well. In most cases, to improve a website there are required changes to the website’s pages such as adding text, new pages, link building – recommendations that come from other websites to your website. This is the mechanics of things, but how we make the changes, what kind of text we write and what kind of links we build; these are deeper things where originality and effort can make a big difference. From the above text, I think it has become clear that SEO helps increase the business profits. But that’s not all that it does. Its impact is both extensive and beneficial. As you could see, SEO is helpful in many ways and the site optimisation actually leads to a more enjoyable online experience for all of us. Even if you do have a grasp of the fundamentals, there’s always something new to learn coming up around the bend.